Frilly and Funkie latest challenge is The Great Outdoors. Please note, a required ingredient is that you must include a quote about outdoors/nature. 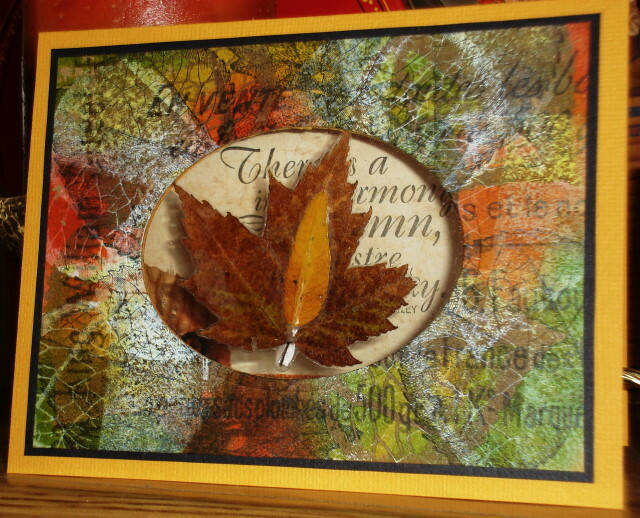 My card includes a real fall leaves, plus the inside reads; “There is a harmony in Autumn, and a luster in it’s sky.” stamp is from Impression Obsession. 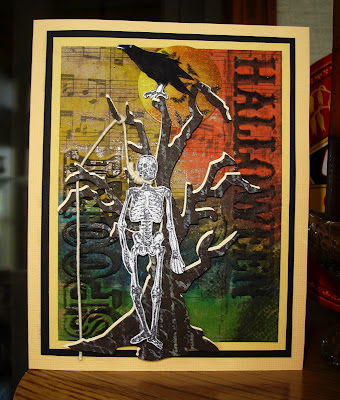 I am adding more fall and halloween cards to this post. Wow, I made it to the great Vada's blog! It really was such a nice time and I so enjoyed our visit! We both really liked WI!!! 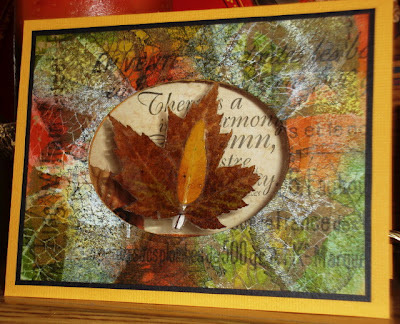 Vada, you have been having too much fun with these Fall themed cards! "The Great Outdoors," (one of my favorite movies) card is so gorgeous and I love how you used the real deal with the leaves! So pretty! Being such a fan of Halloween themed cards/tag, these are just too cool! 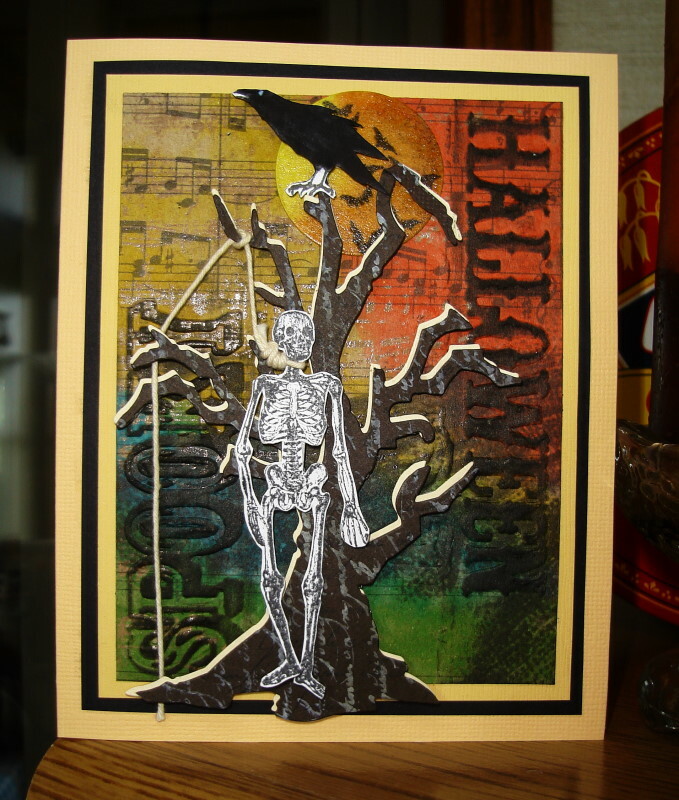 Great use of colors and images! Thank you for playing along with us at Frilly and Funkie! Have a great Sunday, GF! Hugs! A glorious card, those rich Autumnal colours, I can almost here the leaves crunching underfoot and then those spooky Hallowe'en creations, quite fabulous. Oh, Vada, those backgrounds are exceptionally gorgeous. Love these! Thanks for joining us at Frilly and Funkie for the outdoors challenge. Speaking of Frillie and Funky did you know you just won on their blog! A big CONGRATS!! 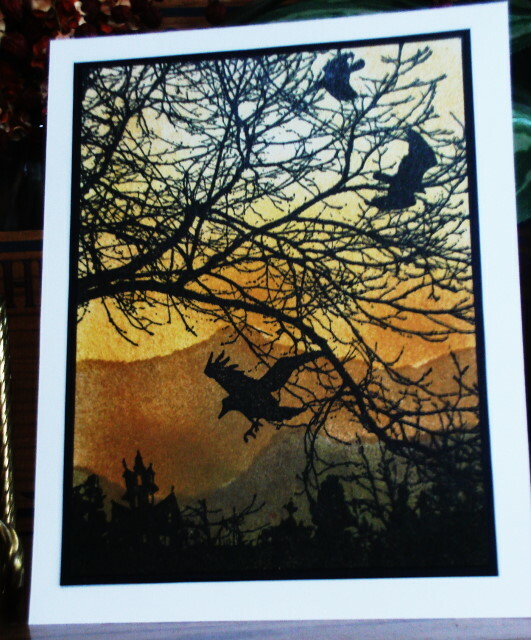 and adore your Fall collection of cards! gotta love Halloween, my fav! Of course I love each and every one of these beauties! You're one creative artist!! 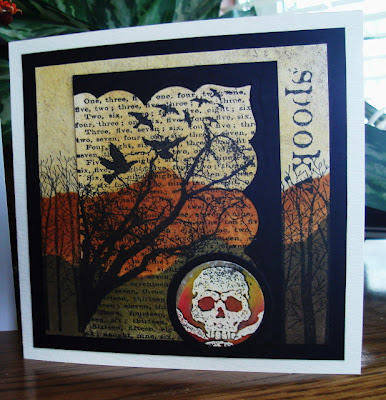 Gorgeous spooky cards! My favourite is the last one with the trees and birds against that beautiful sky.